The American Granddaughter (Dar Al-Jadid, Beirut, 2008), by Iraqi author Inaam Kachachi, depicts the American occupation of Iraq through the eyes of a young American-Iraqi woman, who returns to her country as an interpreter for the US Army. Through the narrator’s conflicting emotions, we see the tragedy of a country which, having battled to emerge from dictatorship, then finds itself under foreign occupation. 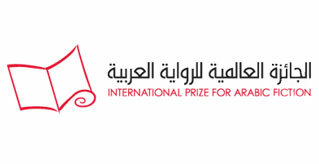 Since being shortlisted for IPAF, The American Granddaughter has been translated into other languages including, most recently, an English edition through the Bloomsbury Qatar Foundation. To find out more, visit the Translations section. Inaam Kachachi was born in Baghdad in 1952, and studied journalism at Baghdad University, working in Iraqi press and radio before moving to Paris to complete a PhD at the Sorbonne.